-Who is American Hero Adventures and what makes us who we are? -Our name is American HERO Adventures. We serve Heroes. To us, a Hero is anyone who raised their right hand and signed on the dotted line to serve and protect this great nation. Those Heroes include Military, Law Enforcement, Fire, EMS and Federal Agents. We all chose to take an oath to protect and defend this great nation. Together, they guard Lady Liberty and the American way of life. While some do their jobs here on the homeland, some do it in far away lands. At the end of the day, when the suns has set, we are all on the same team. The team of the Red, the White and the Blue. -Our mission statement is “Providing Our Nation’s Finest and Their Loved Ones with Adventures of a Lifetime”. A crucial part to our mission is the “and”. While it may be the Hero who steps on an IED, gets shot or falls from a helicopter, their loved ones, too, take a very real and hard emotional blow. Imagine, if you will, that your loved one has been severely injured in battle or in a horrific accident. How would you react? Would you do everything in your power to ensure their survival and well-being? Would you not give your life, heart and soul to wipe the tears from their eyes, to erase their unwavering pain, to make everything okay? Of course you would! Why? Because you LOVE your Hero!!! …After his father’s funeral, Troy moved back home to Eugene, OR to live with his mother, Janet, and younger brother, Eric. It was several months and countless surgeries later that Troy came to a realization. He started to recognize all the people in his life that were not only helping him with his daily activities such as getting dressed and bathing, but people were also mowing the lawn, doing the dishes, getting groceries, cooking meals, etc. It was then that it dawned on Troy what he was witnessing occur for his family. The people he saw, his friends, were taking care of the household chores because his mother and brother had not been able to keep up with it. And the reason for that was simple. His mother and brother were too busy taking care of their Hero and had forgotten to take care of themselves. They devoted their life to Troy, to get him back on his feet and to get him moving forward in life once more. 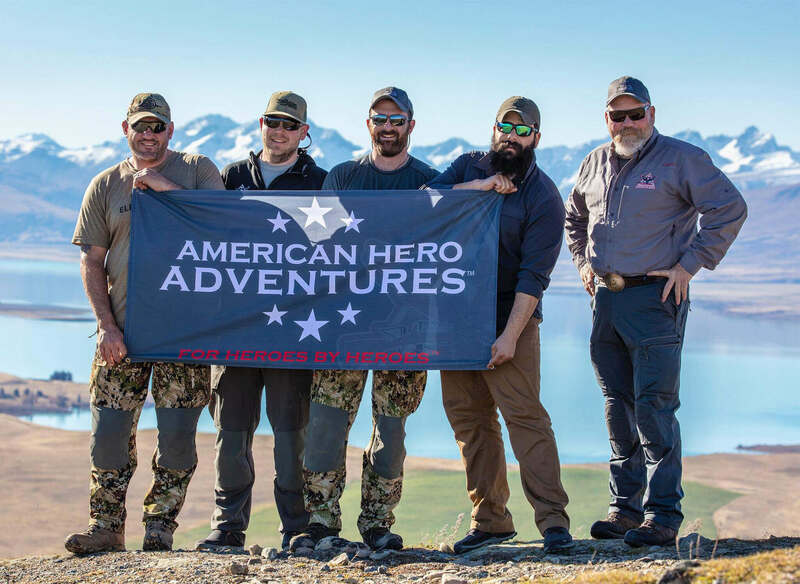 -It is the intent of American Hero Adventures to provide these adventures of a lifetime to the Hero and their loved ones so that they can enjoy life with one another as they did before their lives were so drastically altered. We aim to show them Hope, Healing and Camaraderie through adventure. We want our Heroes to be able to take a break from the struggles they face each morning when they wake, be able to reset and have a positive outlook on life despite whatever situation they are in. -We provide a wide variety of adventures for our Heroes. What constitutes as an “adventure” truly lies in the eyes of each Hero. Our objective in an “adventure” is to create an exciting or remarkable experience that ignites passion in the Hero’s’ soul. While we are most notably known for our unique hunting and fishing adventures throughout the world, we also strive to broaden our horizons with other activities. To date we have conducted numerous other types of events that include Father’s Day retreats, weekend getaways to the Oregon mountains and coast, ballroom dancing lessons, cooking classes with a professional chef, camping, golf outings and various shooting sports events. We currently operate adventures in five countries and 14 states. -It is only through the strong and continued support of our partners and volunteers who stand beside us and believe in us that we are able to continue to make our mission a success. Become a partner in our success and take pride in helping our Heroes find Healing, Hope and Camaraderie through adventure in their lives once more!